I was happy when Hewlett-Packard (as it was known then) acquired the Stackato PaaS from ActiveState, a Canadian developer tool company. Of course there was some self-interest there, I was an adviser to ActiveState and was actually involved in one of the companies that ended up becoming part of the Stackato product. But beyond self-interest, I thought it was a deal that made sense. As I see it, HP’s business selling physical servers is rapidly dwindling and the company needs to move up the stack and add more value to its customers. The not-insignificant investment that HP made in OpenStack was part of this -- millions and millions of dollars poured into creating HP’s Helion OpenStack platform, again as an attempt to do more than just sell people pieces of tin with flashing lights on them. And then… the wheels started falling off. HP’s OpenStack product was launched, rebalanced and re-relaunched many times. And every single time I shook my head in wonder. How could a company spend so much money and achieve so little? The Stackato acquisition, so exciting initially, was diluted as management changes and corporate re-thinks had them running around in circles. And then the not wholly unexpected news came that HPE was jettisoning its OpenStack and Stackato products and giving (selling?) them to Suse. Under the deal, which seems very complex, was a non-exclusive partnership that went with it, and HPE will (or can) offer customers OpenStack and Stackato via Suse. Suse would have free rein to sell both products into the general market. At the time of the deal, I was hyper-critical of HPE’s decision, and some of that criticism rubbed off into questioning the rationale for Suse's purchase. The team at Suse reached out to me wanting a chat about their reasons for acquiring the pair of assets, and so I sat down with them to talk about the deal. I was joined by Mark Smith, Suse's global product and solutions manager, and Peter Chadwick, Suse's director of product management, cloud and systems management at SUSE. I wanted to focus first on the realistic opportunity that Suse has selling these products back to HPE customers. Alas neither Smith nor Chadwick were comfortable commenting on HPE's expectations or long term plans, but he did note that HPE indicated that they wanted a partner who could be a product developer for them. Since Suse has an existing OpenStack business, and one which is growing a reported 20 percent per annum -- they feel that they’re well placed to deliver this function on a longer-term basis. They noted, in response to my assertions that HPE had essentially screwed the opportunity up, that it is not as easy for traditional businesses to commercialize open source. Very diplomatic! We then moved on to a discussion about the broader Cloud Foundry ecosystem. Stackato is, of course, a PaaS built on top of Cloud Foundry, and there are other distributions out there. They noted that Pivotal’s Cloud Foundry product is doing very well in the marketplace. So given that traction, and the fact that no one else seems to be executing well upon the Cloud Foundry opportunity, what is Suse going to do? “We will accelerate out entry into delivering a Cloud Foundry certified product. We’re not yet ready to divulge our roadmap but are aggressively working on it,” Smith and Chadwick explained. Which begs a serious question I’ve had recently about PaaS being upstaged by newer approaches (variously containers generally, and Docker, Kubernetes and Mesos specifically -- or even, looking further ahead, Serverless). 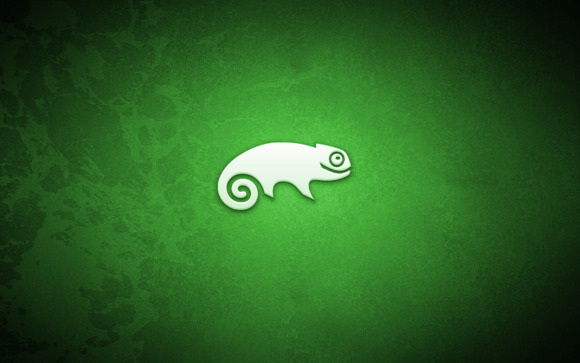 If PaaS is dead, what does it mean for Suse? Smith and Chadwick disagreed with the underlying premise. So, what does the future of PaaS look like compared to more “cloud-native” approaches? An interesting conversation, and one which helps separate the criticism of HPE’s moves with the decisions made by Suse. One thing is for sure, this is a story which will keep on giving.